Salman Khan talks in high regard about his ‘Tiger Zinda Hai’ villain Sajjad Delafrooz. Salman Khan and Katrina Kaif starrer ‘Tiger Zinda Hai‘ has been making headlines even before its release! Be it for its mind-blowing trailer or its fantastic soundtrack. If there is anyone in the movie that has been talked about apart from the main leads it is the ‘Tiger Zinda Hai’ villain Abu Usmaan played by Sajjad Delafrooz! It seems like Delafrooz’s cold, murderous demeanour in the movie has won over Tiger Khan! 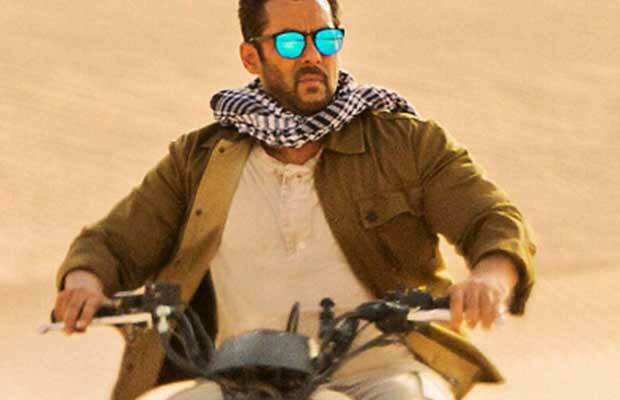 Salman Khan praised Sajjad by saying that he brings the character of the international terrorist Abu Usmaan alive. He added that the Iranian actor has captured the essence of his character perfectly. ”Sajjad has done a fabulous job in portraying a monster who will stop at nothing to destroy peace. He has made this character his own,” said Salman. Sajjad Delafrooz is the unofficial face of the UAE. He is seen on several billboards ads of many international brands. While the Salman Khan starrer is his major Bollywood role; he made his debut in Akshay Kumar’s 2015 thriller ‘Baby’ as a doctor. ‘Tiger Zinda Hai’ is a sequel to 2012 super hit ‘Ek Tha Tiger’. In ‘Tiger Zinda Hai’ we will see the dynamic duo of Avinash Rathore a.k.a Tiger and Zoya trying to rescue Indian nurses held captive by terrorist Abu Usmaan. Till date, the movie’s trailer has been one the most watched trailers of a Bollywood movie within 24 hours of its release. Salman Khan and Katrina Kaif starrer ‘Tiger Zinda Hai’ releases on December 22. Previous articleBox Office: Fukrey Returns Witnesses Amazing First Weekend Business! Next articlePhotos: Here Is Where Anushka Sharma And Virat Kohli Are Getting Married!